Take the stats of a team and its opponents at home and compare them to their combined stats on the road, and you get a rough idea of how the home park plays. That is, whether it helps power hitters or hurts BABIP, for instance, increases strikeouts or infield flies. Interesting stuff, but flat. You can find most of the basic numbers at ESPN. These are useful when evaluating teams, but some parks also have a handedness split. I took a look at platoon pages at Baseball Reference and found ballpark splits for each of the parks. You might find some interesting data there, but when comparing lefties and righties in the same park you’re talking about totally different pools of players. It may tell you something about how teams approach the ballpark, but not about how it plays differently than the road parks. The Bill James Handbook 2014 is the original source for park factors, and they’ve had three-year and one-year factors and handedness splits for HR and BA for quite a while now. Three-year factors are based on a larger sample of recent years, but they don’t reflect recent changes in the way a ballpark plays, so the one-year factor should always be compared to double check a park’s tendencies. 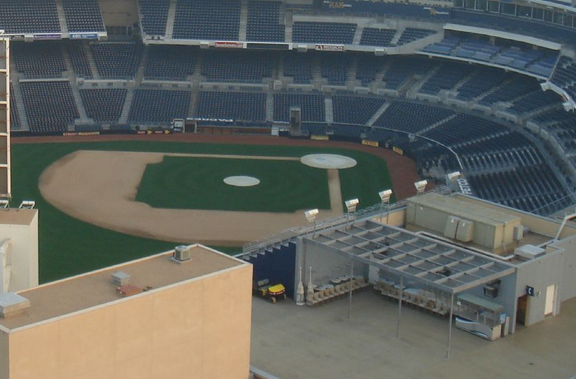 For instance, from 2010-2012, PETCO Park was a terrible place to hit homers. 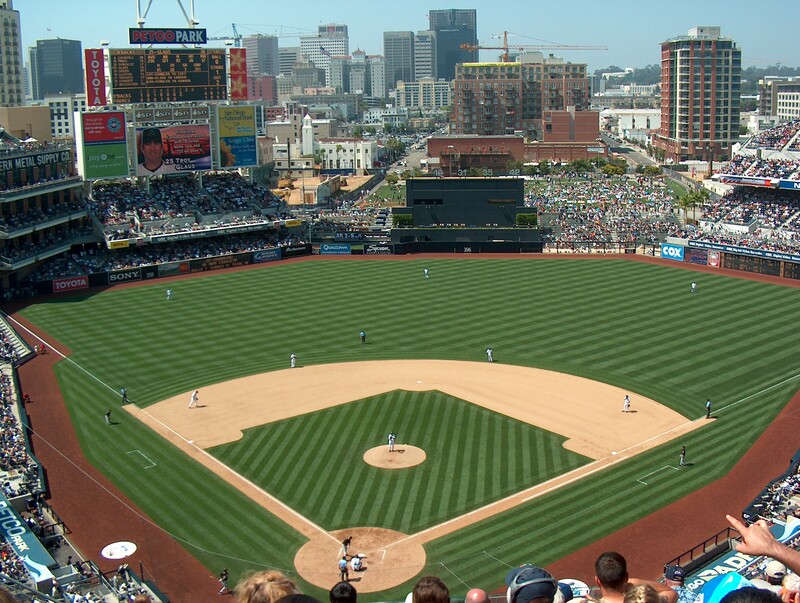 Twenty-three percent fewer homers were hit by the Padres and opponents at PETCO than the average ML ballpark. But last year, after some modifications, PETCO played much more fairly, suppressing homers by only six percent. Presumably hitters have a fairer chance there, now. Except, a closer look shows that home run production last year among right handers continued to lag, down 23 percent, just as in the past. But last year lefties hit 30 percent more homers than they presumably would have in an average ballpark, making up a big part of the difference. 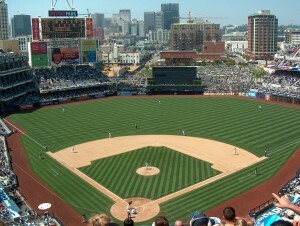 One year is a small sample, so it’s a good idea to take any single season numbers with a grain of salt, but the Padres did bring in the fences a little in left and right fields before the 2013 season, and reported that 21 additional homers were hit last year that would not have gone out under the former configuration. Max Venable reportedly hit three of those. The Mariners made changes to Safeco Field last year, too, and the while lefties saw an increase in batting average (but not home runs), righthanded home runs went from a 33 percent suppression in 2010-2012 to a 12 percent suppression last year, meaning a rougher time of it for lefthanded pitchers in Seattle. Overall, Seattle went from a 25 percent shortfall in homers to a 12 percent shortfall. Right now, the Mariners have a pretty left-handed lineup, but if Corey Hart is able to get healthy he stands to benefit most in Seattle. As you might imagine, players of daily fantasy baseball games eat this stuff up. These different capabilities make a difference over the long haul, and mean that cobbling together players with the best platoon differentials and park advantages will likely add up over the course of the season into a substantial advantage. Lefty hitters in Detroit had many more home homers than on the road, while righties actually hit fewer at home than on the road. This was not the pattern in preceding years. Yankee Stadium showed a massive split for righthanded homers, and lefties actually hit fewer at home than on the road. That is the opposite of past history. Even if this reverts to historical norms, Bill Baer’s piece at HardballTalk does a good job of showing the limited impact an improving venue might have on a hitter. Lefties in Baltimore showed a big edge in home runs over righthanded hitters, as usual. Rangers Ballpark played negative for right-handed hitters hitting homers last year, which isn’t what you expect, and played even for lefties. In the preceding three years only the White Sox, Yankees and Orioles home parks were easier to homer in. Fenway crushed lefthanded homers last year, as usual. Tropicana Field hurt right-handed homer production last year. It has never been a hitters park. The toughest park in the American League last year for homers was the O.co Colisseum, when a lefty was at the plate. The same was true from 2011-2013. Citizens Bank Park was far more of a homer mecca from both sides of the plate than Coors, which played pretty straight. That was not true before last year. Miller Park was a lot easier on righties hitting homers than lefties. In the three year mix it was equally beneficial to lefties and righties. Marlins Park shut down lefties, cutting their homers nearly in half, and being the second hardest field for righties to hit homers in. It is not a good place for power hitters, sorry Mr. Stanton. Turner Field boosted power-hitting lefties, and undermined power-hitting righties, a historical trend, though not as extreme in the past. PNC Park was the hardeest for righties to hit homers in in the National League, but was no picnic for lefties, either. Ditto. AT&T Park was the second hardest yard to leave for lefties, but tough on righties, too. Once again. And then there is PETCO. Only one park was easier for a lefty to homer there last year, while only two NL parks were tougher on righties. This entry was posted in Ballparks, Basics, Free, Projections. Bookmark the permalink.